Since that time, some analysts (including Adam Chandler, who wrote a thought-provoking blog post on the case) have suggested that the Supreme Court should not—indeed, perhaps cannot—grant review on the affirmative action issues in the case because of a procedural wrinkle. In the space below, I explain and examine that wrinkle. 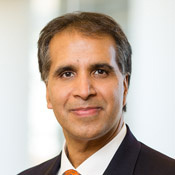 The complication in Fisher arises essentially because no lower court in the case thus far has determined whether either of the two plaintiffs—Abigail Fisher and Rachel Michalewicz—would have gotten into UT even if the university did not have a race-based affirmative action plan in place when they applied a few years ago. Some might argue that if the two plaintiffs would have been denied admission in any event, then the affirmative action program did not “cause” them any injury that would be “redressed” by anything a court could do. If other applicants—and not these plaintiffs—would have gotten in had affirmative action never been used, then arguably these two folks aren’t parties with constitutional “standing” to sue. There is some logical force to that argument. But in the 1990s the Supreme Court held, perhaps most notably in Associated General Contractors v. Jacksonville, that when people who plan to apply for government benefits bring suit to challenge race-based affirmative action programs in order to get the programs judicially enjoined, the injury of which the challengers can properly complain is not simply that they may be denied the benefit. Instead, they can allege a valid injury based merely on the prospect of not being treated fairly by a process in which race is illegally considered. Thus, in such cases, plaintiffs need not allege or prove that they would win the benefit were race to be removed from the picture. Whether or not those particular plaintiffs are otherwise likely to receive the benefit, they are entitled to a process in which race is not used unconstitutionally. Associated General Contractors (AGC) and similar cases would thus seem to help the plaintiffs in Fisher; whether or not these two plaintiffs would have gotten into UT, they can claim they were injured insofar as they weren’t treated fairly in the process. But that brings us to the 1999 Supreme Court case of Texas v. Lesage—the nub of the problem. In Lesage, an unsuccessful white applicant attacked a public university’s race-based affirmative action program regarding admission to its doctoral program in psychology. Importantly, as the Supreme Court looked at the case (and the Court decided the case without the benefit of full briefing or oral argument, something it does rarely), the only claim the plaintiff made was for damages for past harm; there was no suggestion that Mr. Lesage wanted to change the university’s admissions policy because he would be applying to the university in the future. In that context, the Supreme Court said that the University should prevail, because it had introduced unchallenged evidence that Mr. Lesage would have been denied admission even if the race of applicants had not been considered. That was because there were many other unsuccessful non-minority applicants ahead of him who would have consumed the small number of spaces that arguably went to minority applicants under the affirmative action plan. The Key Question: How is Lesage to be Understood? The key question raised by the Lesage case is whether the Court’s rejection of Mr. Lesage’s claim was based on his lack of constitutional standing, or instead involved a question of a particular kind of remedy (damages) available under a particular statute (section 1983). 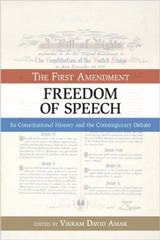 If Mr. Lesage lost because he lacked Article III standing—that is, he lacked the stake in a case that one must possess to fulfill the “case-or-controversy requirement” imposed by Article III of the Constitution—then the Supreme Court should not have the power to take the Fisher case without first addressing the standing of the plaintiffs there. Plaintiffs in Fisher also seek only backward-looking relief, and we don’t yet know whether they would have gotten into UT if the race-based program hadn’t been in effect when they applied. And constitutional standing is something that all courts—including the Supreme Court—must ensure is present before they can address the merits of a case. One of the Fisher plaintiffs seems to have a very strong argument (on the facts alleged in the case) that she would have gotten in absent the affirmative action program, but, to repeat, no lower court has yet ruled on that question. And, again, constitutional standing is a threshold matter that must be resolved before “merits” questions can be examined. 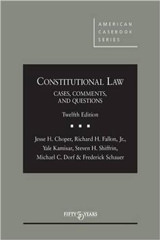 Next, it seems to me quite difficult to explain why Article III could be satisfied in Associated General Contractors—which the Lesage Court insists is true—if a person who has been subject to an impermissible process in the past has not suffered a constitutionally adequate injury-in-fact for standing purposes. It would be almost surreal to say that Mr. Lesage didn’t suffer a constitutional injury but that Associated General Contractors was about to. I acknowledge that even if Lesage is about substantive liability/remedy, rather than Article III standing, some explanation harmonizing it with the Associated General Contractors case is needed. But it seems plausible to me to say that in both cases, there is an injury (sufficient to confer standing) consisting of unfair procedural treatment—one such injury having already occurred (in Lesage) and one such injury that is imminent (in AGC)—and that the appropriate remedy in both cases is for government to be forced to perform the process free from the racial taint. The fact that the two cases seem different in outcome is merely a function of the different time at which that remedy is administered. This explanation doesn’t fully convince me that AGC and Lesage are both correctly decided. For example, I don’t get why, if AGC is correct, the Lesage Court does not allow for the possibility that the plaintiff there, even if would not have been admitted in any event, could obtain nominal damages for having been treated procedurally unfairly. The Court has permitted nominal damages for other procedural injuries that do not result in tangible harm—Carey v. Piphus being perhaps the most prominent example. But reconciling Lesage and AGC in terms of of the law of remedies is far more plausible than any suggestion that Associated General Contractors was threatened with a procedural injury that counts for standing purposes, but that Mr. Lesage did not suffer one—when the alleged procedural injury in the two cases is identical. Another factor that is relevant in interpreting Lesage is the sequence for resolving various parts of cases that the Supreme Court itself seems to have followed in precisely the cases cited in Lesage for support. In those cases on which the Lesage opinion relies, the Supreme Court has spoken on the merits, and then remanded for consideration in the courts below of whether the government can prove that the plaintiff wouldn’t have received the benefit even absent the constitutionally impermissible procedural input. 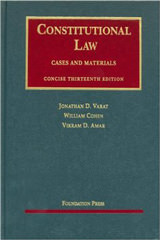 And in at least one of the cases cited by the Court in Lesage, it appears that (as in Lesage itself), an award of damages was the only remedy sought, so the failure to analyze the damages question first would, if the Lesage rule stems from Article III, run afoul of the requirement that jurisdictional thresholds be resolved prior to any merits analysis. A related factor is that under the Lesage framework, the defendant has the duty to prove that the plaintiff would not have received the benefit; the plaintiff does not have to prove that she would have received it. But Article III standing requirements, the Court has repeatedly said, place burdens on plaintiffs, who are the ones invoking the federal courts in the first place. Thus, the fact that the Lesage test is an affirmative defense for government defendants suggests that it is something that can be waived, and is not a prerequisite for the Article III standing that is needed to create a case or controversy. More generally, let’s suppose that we were to consider affirmative defenses to damage liability as jurisdictional threshold issues that must be resolved before we are satisfied that there is Article III “injury-in-fact” or “redressability” in damage-only cases. Then, whenever any question existed about whether damages would at the end of the day be appropriate—e.g., a question about the statutory availability of damages, or about accord and satisfaction (that is, the prior settlement of the obligation), or about res judicata (that is, the existence of another lawsuit on the very same matter that has already run its course)—a federal court would have to resolve any such issues before looking at the true merits of the case. Finally, I should point out that at the end of the Lesage ruling, the Court held open the possibility that Mr. Lesage might be able to prevail on his damage claims under statutes other than section 1983. If the Court meant to say that he lacked Article III standing, then that would have required that he be ousted from court altogether, and his damage claims under these other statutes would have been dead. And yet the Court said they needed to be examined. All of the analysis above explains why I would conclude that Lesage is best understood as a case about the extent of damage liability under section 1983, not about Article III standing. If I am right about this, then the Court can grant review on the merits of the Fisher case, provide guidance about the permissible scope of affirmative action today and (if need be) remand for resolution of the Lesage issue. Under my reading, Lesage poses no real barrier to the Court’s granting review on the merits of the Fisher case. Yet I do acknowledge that some lower courts have—without elaborate analysis– described the Lesage doctrine in Article III jurisdictional terms. Perhaps the Court will decide not to take up Fisher because of these difficulties. Or the Court could use Fisher to address the question of what Lesage means in addition to (or instead of) the affirmative action issues. I actually think sorting out Lesage—which is an example of poor judicial craftsmanship and “Exhibit A” for those people who dislike summary rulings that are issued without full briefing and argument—is important in its own right.